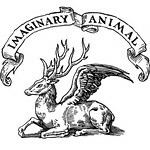 Imaginary Animal: we have a winner! and the randomly chosen winner is... heidi! she gets to choose between a gingham or polka-dotted topknot headband. thanks so much to everyone who entered the topknot giveaway. soon i'll have another giveaway for some handsoap! (more mickey's girl topknots in the shop). Thank you so much! I am so excited for my gorgeous new topknot!